Ford introduced the latest edition of its Bullitt Mustang inspired by the 1968 Steve McQueen classic cop flick at this year’s Detroit Auto Show, the first of which went to auction and sold for $300,000. But there was a fast, cooler car in that movie—the 1968 Dodge Charger that’s also in the famous chase sequence. And now one in a similar spec is up for auction. 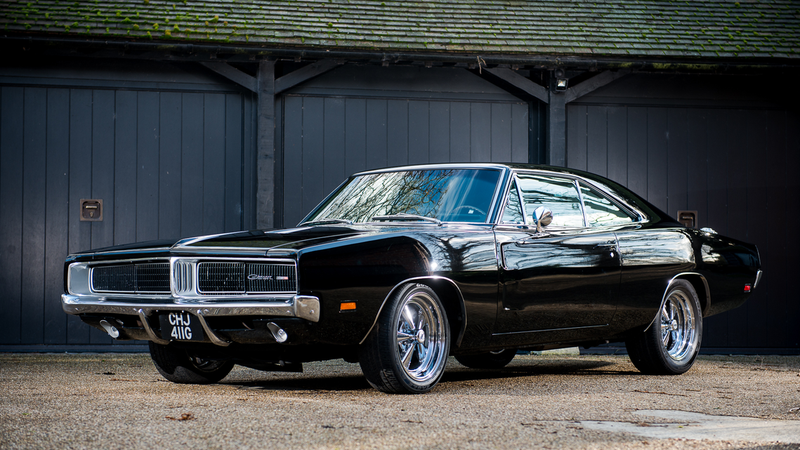 The black second-gen Dodge Charger was once owned by actor Bruce Willis, who then sold it off to Jay Kay of Jamiroquai who imported it to the UK around eight years ago. Jay bought and imported the car (so all taxes paid and UK registered) and then launched an improvement package to make the car as near perfect as possible. No stone was left unturned and the car remains very striking indeed with shiny gloss black paint and a perfectly trimmed original interior. Sat on highly polished and chromed alloy wheels, the car not only looks fantastic but sounds it too! The green Mustang driven by pretty boy McQueen have launched an entire special edition trim for one of the most popular sports cars in the world, but it’s still not as good as the Charger, which is bigger, darker, louder, more powerful and much more sinister. The production had to modify the Mustangs to better keep up with the Chargers in filming. If kept stock, the Mustang had a 50 horsepower deficit. It’s also cooler because it hasn’t been diluted by decades of corporate copycats, and this one was owned by Bruce Willis and Jay Kay, which when added together, at least come close to matching the on-screen Steve McQueen. The Charger is better because it doesn’t need to be de-badged and painted green to be kickass. It’s just kickass. Just keep it out of gas station fireballs if you end up going home with it. Check out the full lot listing over at Silverstone. Correction: this article originally alluded to this Charger being one of two featured in the movie. It is not. Instead it is modeled after the cars in the movie. I regret the error.